Rob Ketcherside writes local history articles from time to time for the Westside Weekly. The old scene is about 1912 and shows the offices of the Seahurst Land Company near Lake Burien at what's now 22nd SW and SW 152nd. It was run by William H. Coughlin, a Seattle realtor who had been pushing Seahurst's beach for several years as a great summer weekend steamer destination. The train tracks and platform visible in the photo were for the Highland Park & Lake Burien Railway, which opened July 1, 1912. The Burien line was meant to create a new suburb, and it did eventually. But after only three months running the 10 miles from Youngstown to Lake Burien a landslide near Riverview shut it down. Seattle surprisingly accepted the line as a free gift and dug out the tracks, reopening service as a continuation of the Ballard line in 1914. 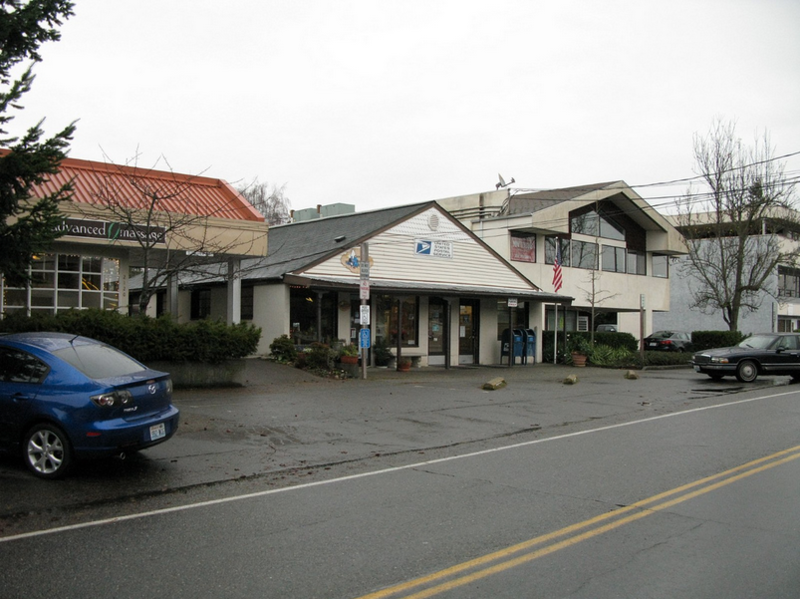 Coughlin's Seahurst Realty built its office at the southern terminus. In 1913 there were already enough new residents to enroll ten students and start a new school. The Lake Burien School met here in the Seahurst Realty office for the first year, then moved to the site that's now Lake Burien School Memorial Park. 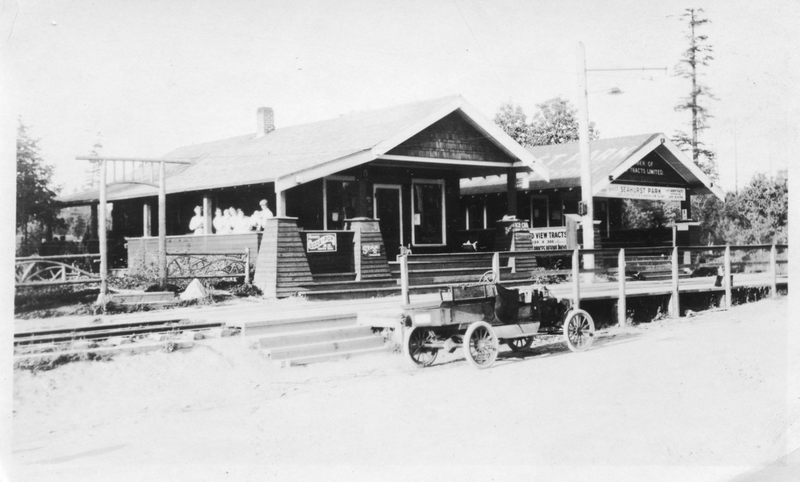 After the streetcar got going again Seattle First Presbyterian Church organized a Sunday school at Lake Burien School, led by rail-commuting pastor Frederick L. Forbes. From its humble beginning on October 31, 1915 with, 16 children, this program grew into a branch church and eventually today's Lake Burien Presbyterian Church.